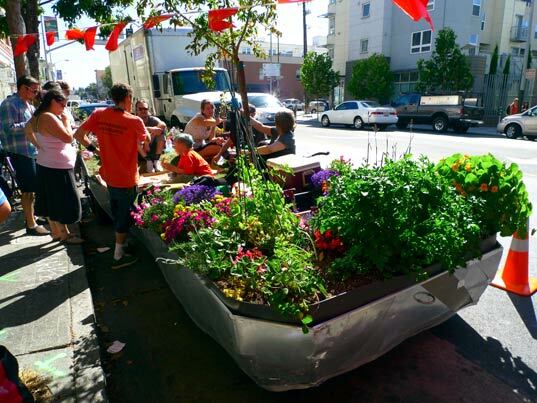 Park(ing) Day! Parking space invasion day! The day to roll out some sod, fire up the barbeque, and set out in the street like it’s your front porch. If you didn’t hear about it from us, from the event site, or from last year’s awesome photos, then you must not have gotten the telegram, ’cause this is the best reason to cruise around the city on bikes since you were 10 years old. 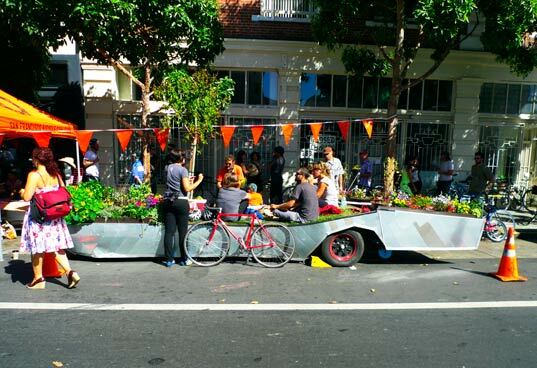 REBAR rolled out their incredible pedal powered parkmobile. 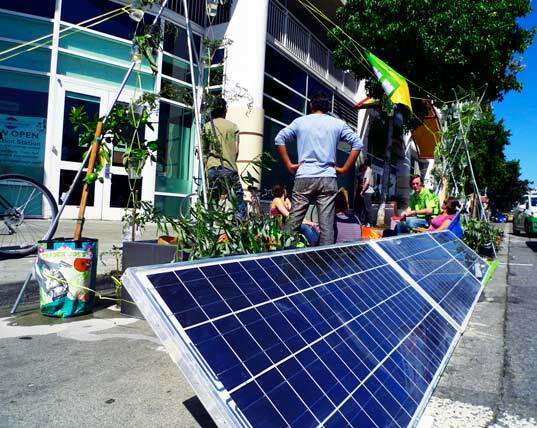 Architecture for Humanity set up a swank lounge space complete with hanging gardens and a solar powered sound system. Temple nightclub was the sun soaked party destination of the afternoon. Spur set up a lovely pop-up cafe complete with tables, a storytelling game, and a classical cellist. 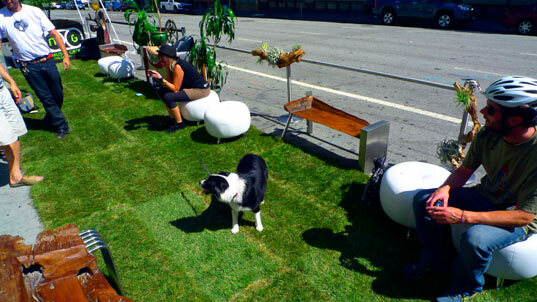 The Mission Greenbelt Project gave SF residents a taste of their proposed set of green public gardens. 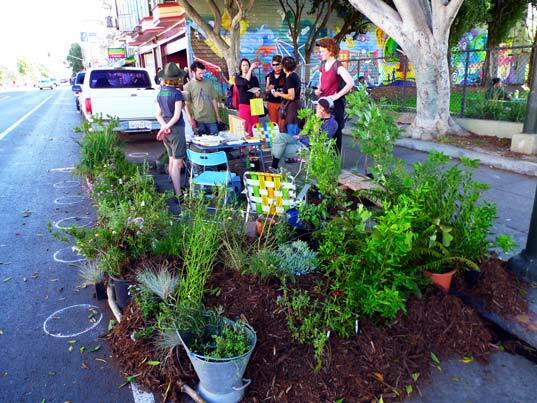 Interstice Architects rolled out with a mobile Forest on Foot that moved from parking space to parking space. 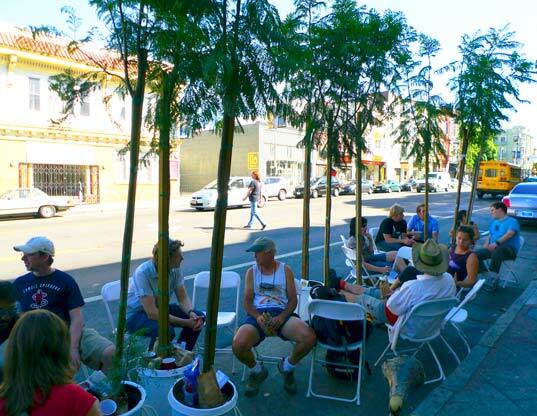 Once the day was over their grove of jacaranda trees would soon find new homes throughout the mission. 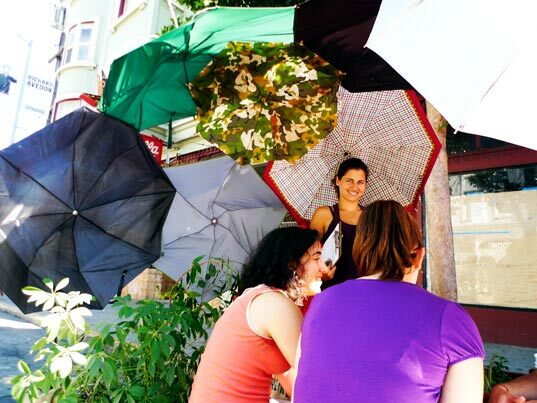 The Free Design Clinic set up an awesome umbrella shade tent and an inspiring hanging garden created from recycled water bottles. 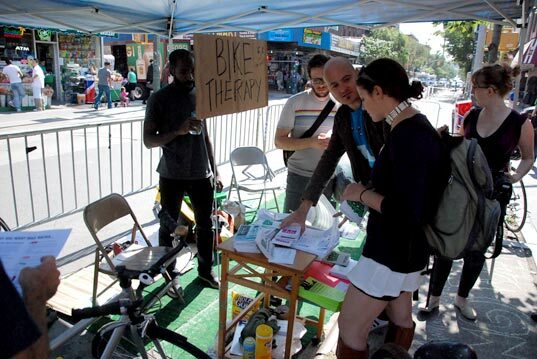 Brooklynites represented Park(ing) day on the east coast too! 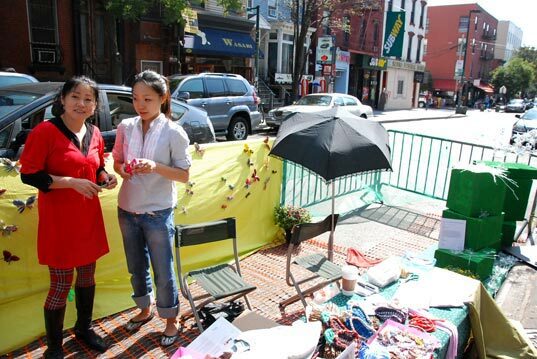 Throughout the day we were struck by how much the level of discourse for Park(ing) Day seems to have grown from the simple “more green space, less cars!” to a site-specific, citywide discussion of urban and natural spaces. I saw that in my neighborhood ... nice concept! Yes! Yes! And yes! San Francisco is perfect for this. Ihope it spreadsto other major cities like Boston, Houston, and Chicago! I wonder how much more gas will be used by people forced to drive around to find a parking spot not being occupied by grass and hippies smoking it. 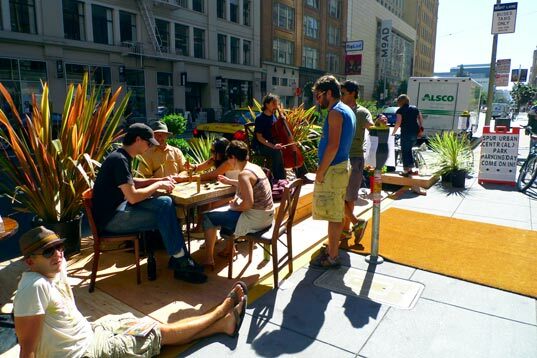 Park(ing) Day! Parking space invasion day! The day to roll out some sod, fire up the barbeque, and set out in the street like it's your front porch. If you didn't hear about it from us, from the event site, or from last year's awesome photos, then you must not have gotten the telegram, 'cause this is the best reason to cruise around the city on bikes since you were 10 years old.